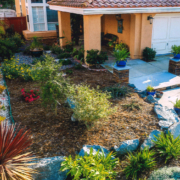 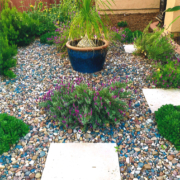 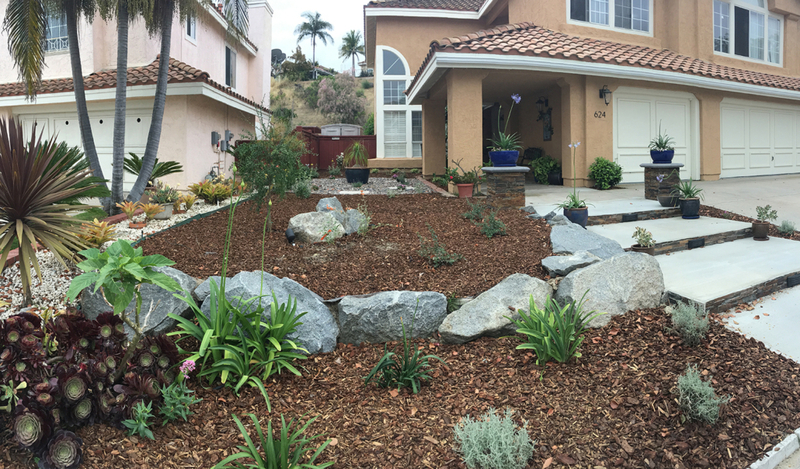 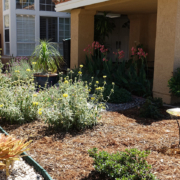 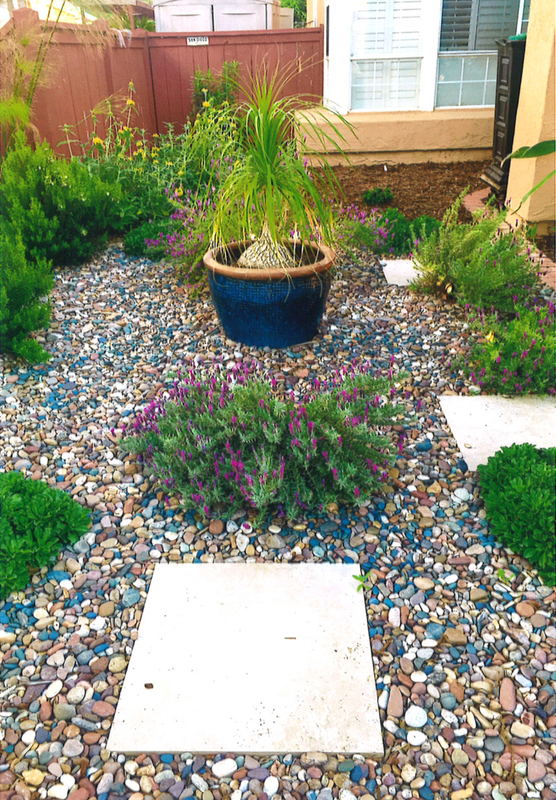 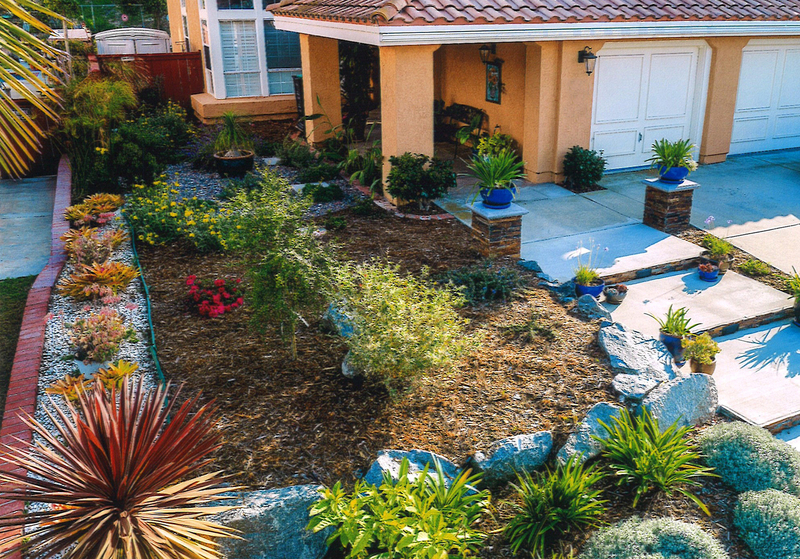 Prior to converting her yard, Rosalba participated in two water conservation programs — the WaterSmart Landscape Makeover Program series and the Sustainable Landscapes Program. 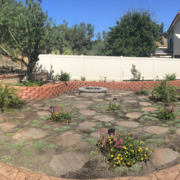 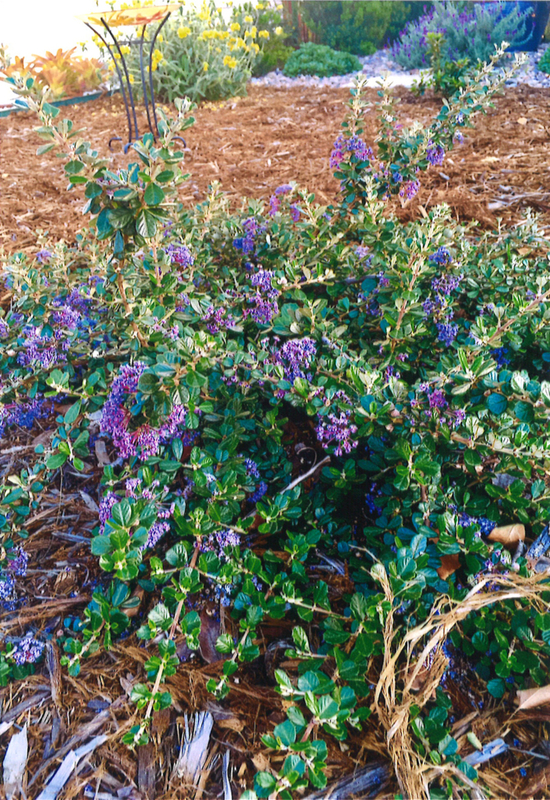 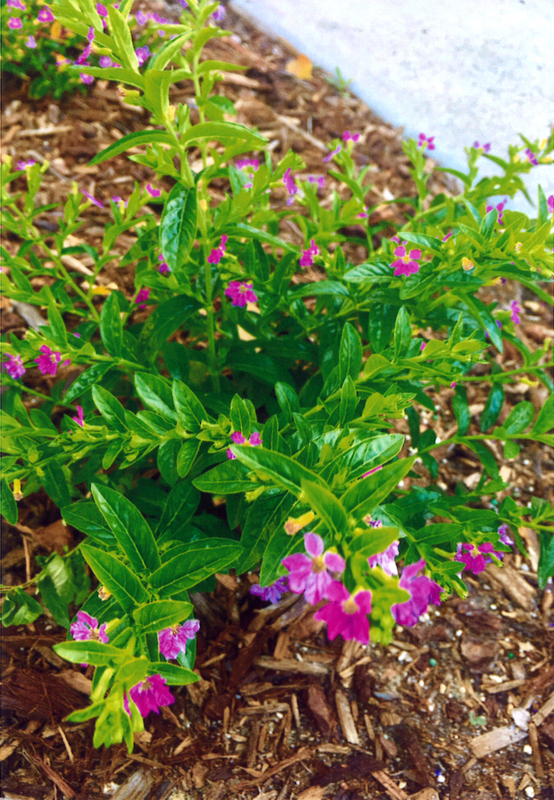 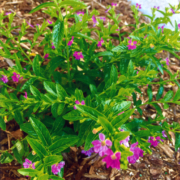 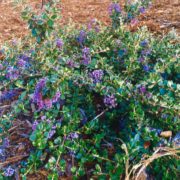 In 2016, she attended the free Landscape Makeover Program and hired a professional landscaper to help her replace her thirsty front lawn with a Mediterranean floral garden. 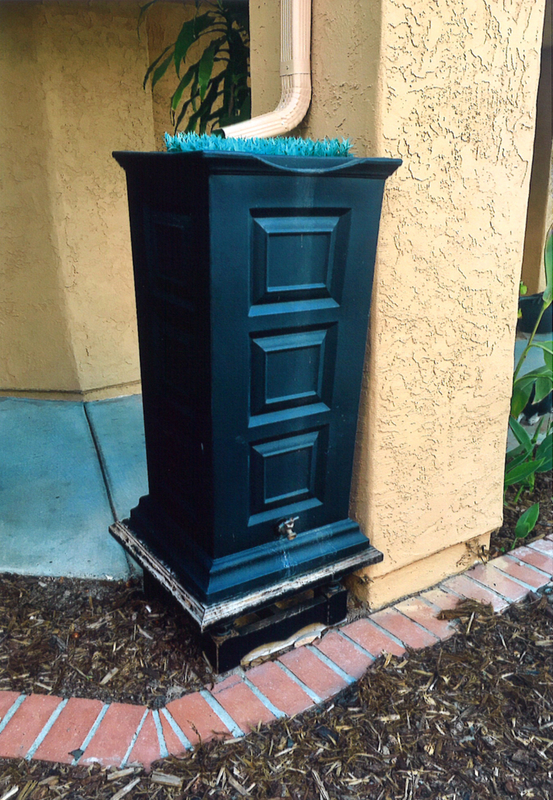 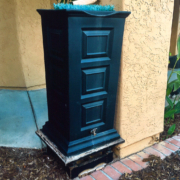 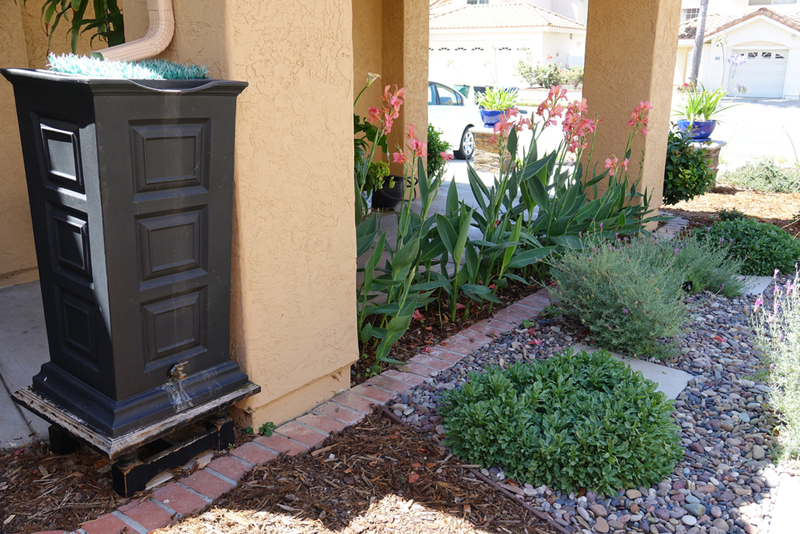 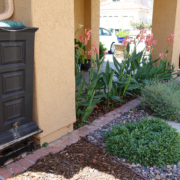 With water savings in mind, she also installed a drip system, two rain barrels, and a detention area to collect rainwater. 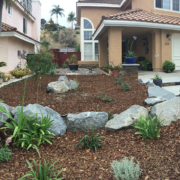 She fully transformed her front and back yards, replacing approximately 1,200 square feet of turf with sustainable landscaping. 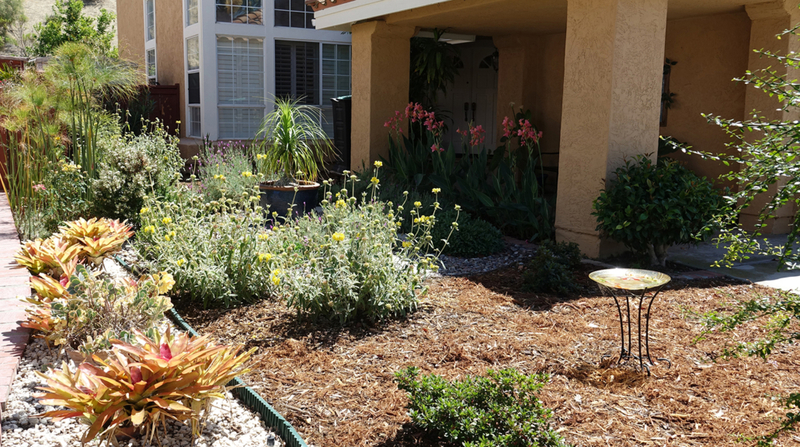 Rosalba’s efforts may have potentially led to an approximately 38% decrease in her overall water use.